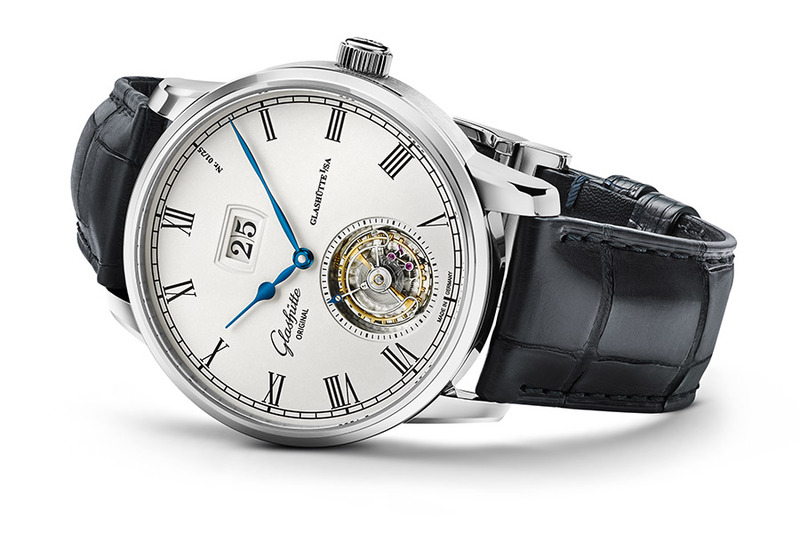 The new version of the Senator Tourbillon is presented in a 42 mm white gold case framing a light, silver-grained dial whose finely textured surface sets off the black laser-engraved indexes and railroad chapter ring clearly. 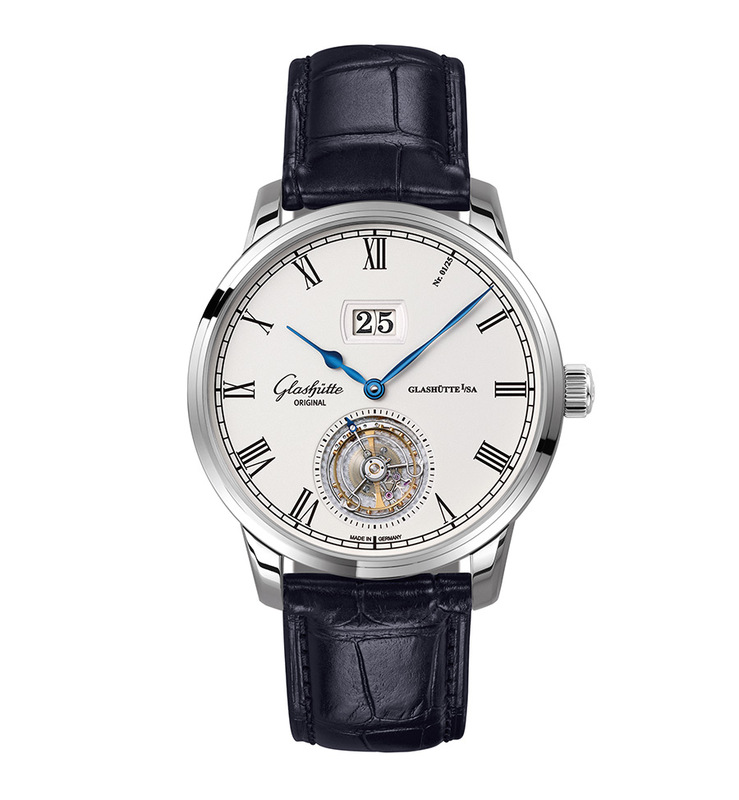 This exclusive timepiece confirms its uniqueness in a manner as discreet as it is elegant: The Roman “index” at 1 o'clock reveals the individual numbering of the limited edition. A black Louisiana alligator leather strap with white gold foldover clasp assures a secure and stylish presence on the wrist. 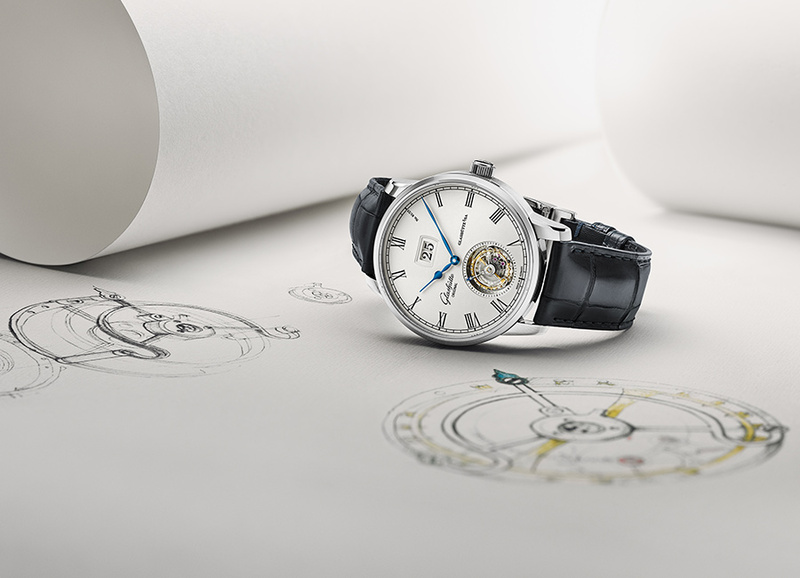 Ticking within the watch is the manufactory Calibre 94-03 movement with 48-hour power reserve. 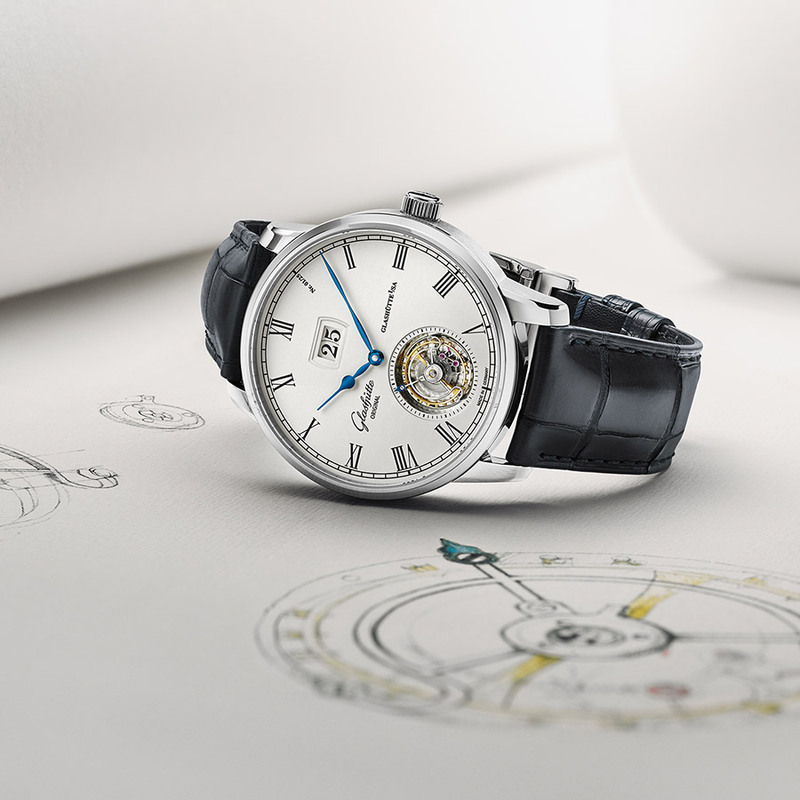 Additional classic features of the Saxon art of watchmaking can be seen through the sapphire crystal case back, including the Glashütte stripe finish, blued screws and the two-tone galvanized skeletonized rotor. Secured exclusively below the tourbillon base, it is this apparently weightless construction that makes it, from a watchmaker’s point of view, particularly challenging and labour-intensive. 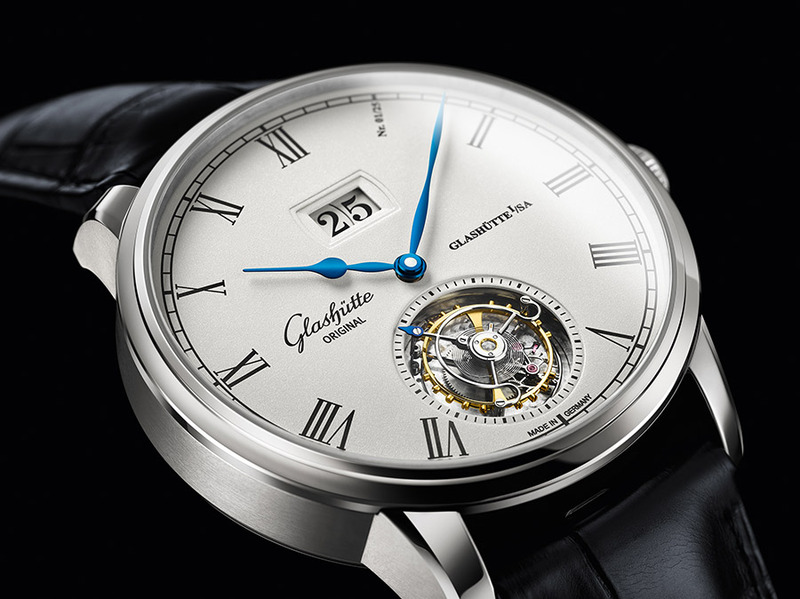 In this case the tourbillon is powered from the third wheel to the fourth, which is mounted below the tourbillon and secured in the tourbillon assembly.